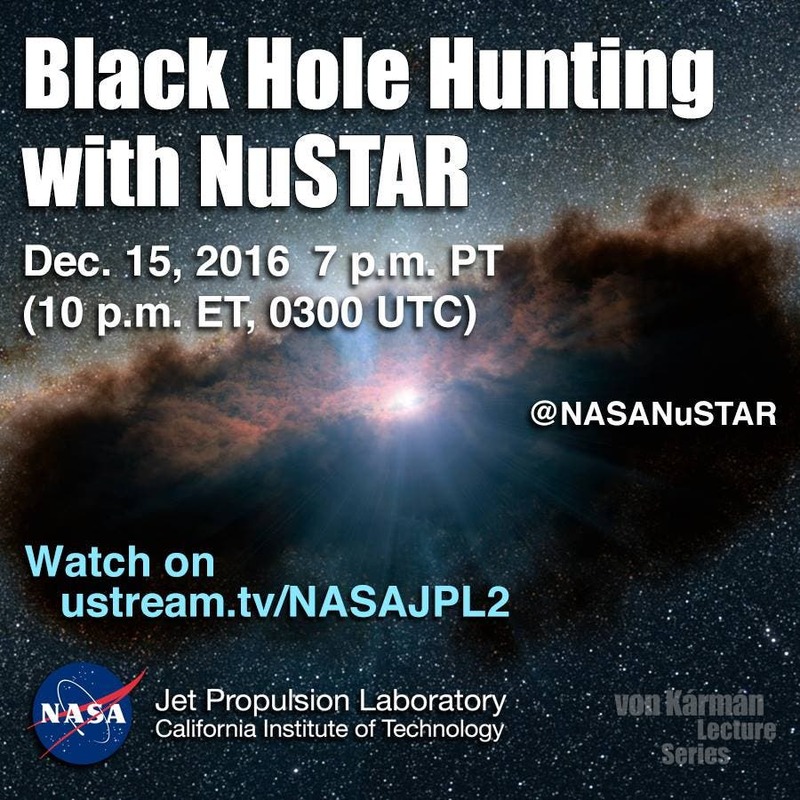 Explore spinning black holes, exploding stars, hyper-luminous pulsars: Tune in live Thursday for news from NASA's NuSTAR Satellite. NuSTAR, has imaged a swath of the Andromeda galaxy — the nearest large galaxy to our own Milky Way galaxy, showing high-energy X-rays coming mostly from X-ray binaries, which are pairs of stars in which one "dead" member feeds off its companion. The dead member of the pair is either a black hole or neutron star. NuSTAR can pick up even the faintest of these objects, providing a better understanding of their population, as a whole, in Andromeda. The findings ultimately help astronomers gather clues about similar objects in the very distant universe. The NuSTAR space mission has observed 40 "X-ray binaries" — intense sources of X-rays comprised of a black hole or neutron star that feeds off a stellar companion. 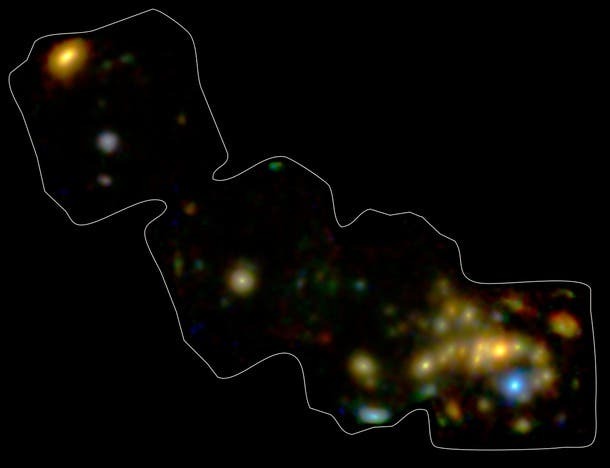 "Andromeda is the only large spiral galaxy where we can see individual X-ray binaries and study them in detail in an environment like our own," said Daniel Wik of NASA Goddard Space Flight Center in Greenbelt, Maryland, who presented the results at the 227th meeting of American Astronomical Society in Kissimmee, Florida. "We can then use this information to deduce what's going on in more distant galaxies, which are harder to see." Andromeda, also known as M31, can be thought of as the big sister to our own Milky Way galaxy. Both galaxies are spiral in shape, but Andromeda is slightly larger than the Milky Way in size. Lying 2.5 million light-years away, Andromeda is relatively nearby in cosmic terms. It can even be seen by the naked eye in dark, clear skies. Other space missions, such as NASA's Chandra X-ray Observatory, have obtained crisper images of Andromeda at lower X-ray energies than the high-energy X-rays detected by NuSTAR. The combination of Chandra and NuSTAR provides astronomers with a powerful tool for narrowing in on the nature of the X-ray binaries in spiral galaxies. In X-ray binaries, one member is always a dead star or remnant formed from the explosion of what was once a star much more massive than the sun. Depending on the mass and other properties of the original giant star, the explosion may produce either a black hole or neutron star. Under the right circumstances, material from the companion star can "spill over" its outermost edges and then be caught by the gravity of the black hole or neutron star. As the material falls in, it is heated to blazingly high temperatures, releasing a huge amount of X-rays. With NuSTAR's new view of a swath of Andromeda, Wik and colleagues are working on identifying the fraction of X-ray binaries harboring black holes versus neutron stars. That research will help them understand the population as a whole. "We have come to realize in the past few years that it is likely the lower-mass remnants of normal stellar evolution, the black holes and neutron stars, may play a crucial role in heating of the intergalactic gas at very early times in the universe, around the cosmic dawn," said Ann Hornschemeier of NASA Goddard, the principal investigator of the NuSTAR Andromeda studies. "Observations of local populations of stellar-mass-sized black holes and neutron stars with NuSTAR allow us to figure out just how much power is coming out from these systems." The new research also reveals how Andromeda may differ from our Milky Way. 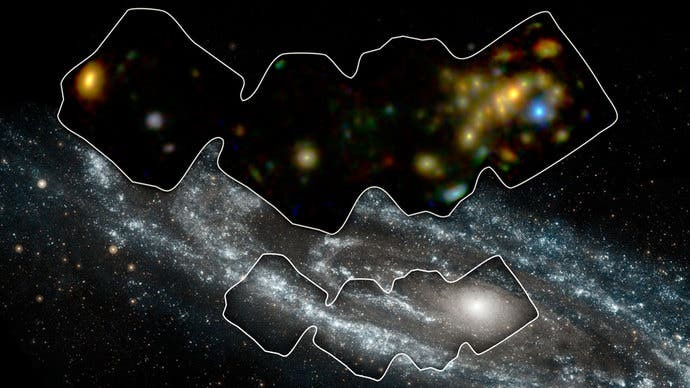 Fiona Harrison, the principal investigator of the NuSTAR mission, added, "Studying the extreme stellar populations in Andromeda tells us about how its history of forming stars may be different than in our neighborhood."